The Capdase smart pocket leather compact camera bag has been beautifully designed to hold and protect your compact digital camera. 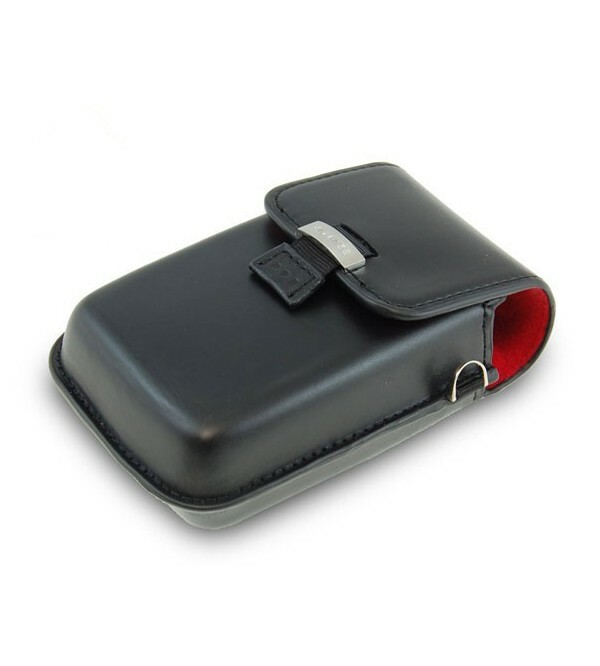 The case is made from leather for an excellent look and good protection. It features a soft red velvet lining to protect your compact camera. Just simply slide in your camera into this case and its form fit size will perfectly fit the camera. It uses unique Pull and Take mechanism which enables you to take out the camera from the case with just one simple pull of the hanging strap! This initiative and secure magnetic closing system is an excellent design from Capdase.